Get Answers to the Most Frequently Asked Questions about Auto Injury Claims, Workers Compensation Claims, and Divorce & Custody Cases. ?Should I get a divorce? ?I was in a serious car accident on I-40. I know I need a lawyer. Internet. TV. Yellow pages. Their ads all say the same thing. WE ARE AGGRESSIVE!!! I suppose that is important, but how can I find the very best lawyer for my injury claim? ?I was injured in a car accident. Do I need a lawyer? Questions about an injury claim, workers compensation claim or a divorce or custody issue? We want you to call us and ask your questions at (910) 341-7570. There is almost always a lawyer available to speak with you. The call is free and there is no obligation. If you prefer, you can gather more information on this site before you call. We answer many of the most frequently asked questions here. The site is not intended to be a substitute for legal advice. It is designed to give you the information you need to get started and to be knowledgable about the process as you search for the best injury lawyer, the best workers compensation lawyer, or the best divorce lawyer for you. I was in a serious car accident on I-40. I know I need a lawyer. Internet. TV. Yellow pages. Their ads all say the same thing. WE ARE AGGRESSIVE!!! I suppose that is important, but how can I find the very best lawyer for my injury claim? North Carolina law requires those who cause auto accidents to pay for the expenses that result. The at-fault driver is required to have auto insurance for this very reason. Insurance companies employ insurance adjusters. Insurance adjusters work to resolve claims in the way that is most favorable for their employers, the insurance company. They are smart, knowledgable and experienced. The adjuster's job is to pay you the smallest amount of money that he or shepossibly can. Insurance adjusters are very good at what they do. Auto injury attorneys work with insurance adjusters to help people who have been injured recover fair compensation. On average people recover 3.5 times more money with an attorney than without one. Experienced auto injury lawyers may be able to help even more. Attorneys are able to recover even more if they are experienced, knowledgeable, professional and effective. That is why it is important that you find the right lawyer for you. 1. Start immediately. Start this process as soon after an accident as you are able. It is important to have your attorney in place before you speak with an insurance adjuster. Many people say things they should not say during preliminary conversations with the adjuster. These mistakes can greatly reduce or eliminate entirely the value of your claim. 2. Identify your jurisdiction. Where did the accident take place? The law relating to accidents and injuries varies from state to state. 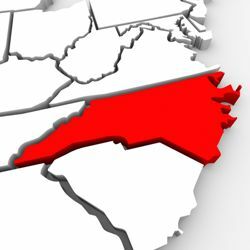 If your accident occurred in North Carolina, it is best to have a North Carolina lawyer. 3. Identify your region. It is best to get a lawyer who practices in the general area of the state where the accident took place because he will have more credibility with the insurance adjuster and he will have local knowledge that may be helpful to your claim. Beware the lawyer that has offices in Wilmington and Charlotte. In cases involving serious injuries, what if there are other sources of recovery? Was the injured person working at the time? Is there a UM, UIM or umbrella policy? Should you be trying to preseve evidence such as photographs, videos and witness statements? Should you send a spoilation letter? Are there liens? Are they negotiable? To what extent? You friend who practices law may know some of these terms but does he or she have the experience to get you a fair settlement? Injury law grows more complex every year. Comprehensive knowledge and experience is necessary to achieve a fair settlement for your injury claim. You better believe the adjuster knows what he or she is doing. This knowledge and experience cannot be gained from books. It cannot be replaced by “bull dogging”, or “smooth talking”. This knowledge and experience is fundamentally necessary and is attained by working on these types cases every day for many years. 5. Check their scores. Perform an on-line search to identify a list of 3 injury lawyers in the right region of your jurisdiction. Consider their experience, recognition and professional conduct to develop a short list of qualified injury lawyers. Avvo, Super Lawyers, Top 100 or Best Lawyers are national independent research services that identify, evaluate and grade lawyers for each practice area. The top lawyers will be identified or graded as such. You can determine whether each lawyer has been identified as one of the best lawyers in the area of personal injury law by looking at his or her website or the website associated with each ranking service. 6. Read the reviews. Perform additional on-line research to determine what former clients say about the lawyers or law firms you are considering. 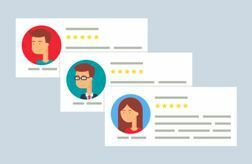 Client testimonials or Reviews are a great source of information. Even great lawyers can have a negative review. It may not be authentic. It may be generated by a competitor. However, if you look at all the reviews together you should get a good idea of how the lawyer’s previous clients feel about the services they received. 7. Consult with each attorney. Make an appointment for a phone or face-to-face consultation with each lawyer on your list. The consultation should be free of charge and obligation. Ask about attorney fees and costs during the initial consultation. Injury lawyers usually don’t charge for their services “up front”. Instead, they charge a percentage of the amount recovered. That is why they advertise, “No fee unless we win”. This is almost always a good investment. You are likely to recover more with an injury attorney even after the fee is deducted than you would if you represented yourself. In addition, your attorney can avoid common mistakes that cause even the most sophisticated people financial harm. The percentage charged by an attorney usually increases if the case goes to trial. Trials are sometimes necessary, but they can be risky and expensive. 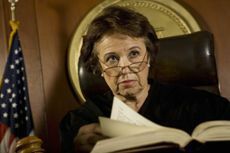 If the case is set up correctly from the very beginning, you can minimize your risk of having to go to trial. Beware of lawyer who tells you how “AGGRESSIVE!! !” he is. Posturing by overly aggressive lawyers can result in an unnecessary trial. Your case is likely to settle for maximum value if it is structured correctly from the very beginning and if it is advanced by a respectful and respectable advocate. 8. Select your attorney. During the identification, research and consultation process, one lawyer or law firm should feel right. 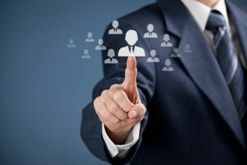 It will feel right when the people with whom you will be working are experienced, knowledgeable and talented and when you feel like they are genuinely concerned for your best interests. 9. Focus on you. 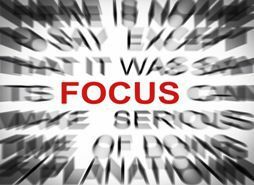 After you have selected your attorney, your focus should be on getting better. Your attorneys should gather records, research the legal issues and produce a settlement package. 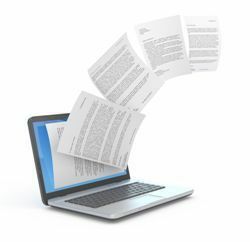 A settlement package is a collection of documents that include the law, facts, photos, bills and records that are relevant to your claim. In addition, your attorney should negotiate with the adjuster to maximize your settlement amount and negotiate with lien holders and medical providers to minimize the expenses that must be paid out from settlement proceeds. You should get the medical attention you need and follow your doctor’s instructions. 10. Communicate with your attorneys. Communicate with your attorneys especially as you approach the conclusion of your medical treatment. 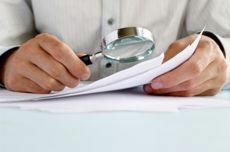 Insurance adjusters are often looking for specific information. Your lawyers may want you to ask your doctors to include specific information in your medical records. 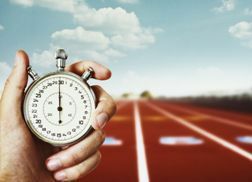 It will be faster and less expensive if your doctors will include specific information in the records when they see you than it will be to go back later ask for this information in a deposition or a trial. Following these steps is the best way to find the right Injury Attorney for you. The Speaks Law Firm has extensive experience and a national reputation for vigorously representing injured people all over North Carolina. 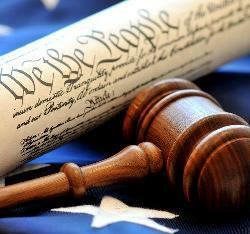 We are comprised of outstanding legal professionals who care deeply for our clients. Clarke and the Speaks Law Firm have achieved National Recognition by attorney ranking sites such as AVVO and Super Lawyers. Specifically, we are rated "10.0" out of a maximum score of 10.0. We are rated "Superb". Superb is the highest possible rating. We have earned "Top Car Accident Attorney" status by Avvo.com. In addition, for the second consecutive year Clarke has been selected to the Super Lawyers and the National Trial Lawyers Top 100 Trial Lawyers for his work in the legal field of personal injury law and criminal defense. Recently, Clarke was awarded the National Association of Distinguished Counsel's Nations Top Attorneys designation. We look forward to speaking with you about your injury claim. You can find important information about Auto Accident Injuries on our website, but you are welcome to ask your questions. We answer these kinds of questions for people everyday. We are happy to answer them for you. There is no fee for answering these questions. There is no obligation. You can reach out to us several different ways. You can call us at (910) 341-7570 between 8:30 am and 5:30 pm Monday through Friday. You can chat with an online operator anytime by clicking on the live chat box below and to the left. You can email us anytime by filling out the contact form on the right. In addition, many of these questions are answered in our book, The North Carolina Auto Injury Book, or our Magazine, The Road to Recovery. Click on the links for your FREE copy. However, you choose to contact us, we are glad that you made that decision. We are here to help. Following these steps is the best way to find the right injury lawyer for you. For more information, please contact us by phone or chat or you can complete the contact form by clicking here. This information is provided exclusively by Speaks Law Firm. Please visit us at www.SpeaksLaw.com or call (910) 341-7570 for more information. I was injured in a car accident. Do I need a lawyer? You are smart, tough and organized. You have dealt with insurance companies before. You deal with professionals all of the time. It was clearly the other guys fault. They have accepted liability. What is the big deal? 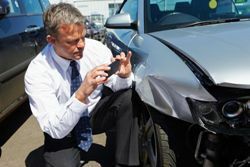 Why do you need a lawyer for your auto injury claim? Like everything else, accident claims have gotten more complicated over the years. The insurance adjuster knows information that you could not know. His job is to pay you less or not at all. He will tell you rules that help his company and ignore rules that help you. And, what about the rules? Do you know them? How could you be expected to know them? They are numerous and complex. Maybe you need a lawyer. Maybe you don't. But, you do need information - accurate information. We can provide it. We can answer your questions and give you reliable information. With reliable information you can make good decisions. Good decisions produce good results. The call is free and confidential. There is no obligation. There are lots of ways we can add value after an auto injury. 1. We Will Answer Your Questions. Should I speak with the insurance adjuster? Should I give a recorded statement? Should I use my health insurance? Medicare? Medicaid? Is there a time limit on my claim? What happens if there is not enough insurance? The insurance adjuster knows the process. Shouldn’t you gather reliable information before you speak with her? Call to speak with an experienced car accident attorney now. The call is free. There is no obligation. 2. We Will Maximize Your Claim. You didn’t cause the accident. It was the other person’s fault. The Collision Report says so. After an accident, you have unexpected bills. You may miss work. You don’t want to pay for something you don’t need. So, why should you hire an attorney? Money doesn't solve every problem, but it sure does help. 3. We Will Help You Find the Right Medical Providers. Your Health is your top priority. It is ours, too. Should you go to the hospital? Your family doctor? A specialist? A Chiropractor? What if you don’t have insurance? We will answer these questions for you. We will help you find medical professionals who will see you now and bill you at the conclusion of your case. 4. We Take Care of Everything. We Collect Evidence and Witness Statements. We Perform Necessary Legal Research. We Communicate with the Insurance Adjuster. We Negotiate with the Insurance Company. We Pay your Medical Expenses out of the Insurance Proceeds. You Focus on Recovering from Your Injury. 5. We Provide Peace of Mind. In addition to physical injuries, accidents can be mentally stressful. We take care of your claim so that you can focus on healing. The law relating to accident claims is complex. I have been working in this area of the law for over 20 years, and I still have to do legal research every day. One mistake can end your claim. We can answer questions and maximize your claim while you get better. You owe us nothing unless we win. 6. We Protect Your Rights. Within days of an accident, the insurance adjuster will contact you. Do NOT speak to him or her without first speaking to me. The insurance adjuster works for the insurance company, not for you. His job is to save them money and pay you less. He will ask seemingly innocent question looking for ways to deny all or part of your claim. We will take over all communication with the insurance company. We will make sure that your words and actions are not taken out of context to undervalue your claim. We will prepare the evidence, witness statements and the legal arguments in your case and present it in the most effective way possible in order to maximize the value of your claim. Results in injury cases are specific to the facts and circumstances in each case. These results should not be used to form an expectation that you will get these same results. If you would like for us to provide you with an analysis and opinion of what you could expect to recover for your claim, please call us now. We will ask you for information about your particular circumstances. 8. We Have an Excellent Reputation. We are an award-winning team of legal professionals dedicated to providing the highest quality legal service. 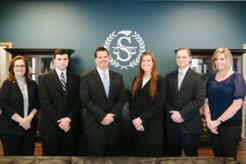 We have achieved recognition by national attorney ranking organizations. Clarke has been selected for Super Lawyers for three consecutive years for his work in the area of personal injury law. 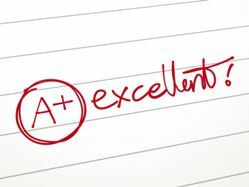 Clarke is rated 10.0 out of a maximum of 10.0 by attorney ranking service AVVO. In addition, Clarke is rated “Superb”, the highest possible rating for an Attorney. Clarke has earned “Top Car Accident Attorney” status by AVVO. Clarke has been selected to the National Trial Lawyers Top 100 Trial Lawyers. Clarke has been awarded the National Association of Distinguished Counsel’s Top Attorneys designation. 9. We Have Extensive Experience. We have represented thousands of individuals and businesses all over North Carolina and the surrounding states in state and federal court at the trial and appellate level. In addition, Clarke has argued before the North Carolina Supreme Court and the Fourth Circuit Court of Appeals on several ground-breaking issues. He has been featured and interviewed in North Carolina Lawyer’s Weekly and various news programs. He is the author of the North Carolina Auto Injury Book. Clarke has written and produced Road to Recovery, a magazine for people injured in auto and workplace accidents. Clarke has represented people against the state and federal government, Fortune 500 companies, large universities and every major insurance company operating in North Carolina. 10. We Are Available Now. The auto accident lawyers at Speaks Law Firm are available to answer your questions right now. Call (910) 341-7570 now to get your claim set up correctly from the very beginning. If you are still not sure, you can chat with one of our live on-line operators (bottom left) right now or fill out the “How can we help you?” form (top right). Contact us for a Free Case Review! No obligation. I saw your TV commercial. You said, “No FEE unless we recover.” What does that mean exactly? If I were you, I would ask that same question. How can you just give something away like that? We have all learned the hard way about “the fine print." You just want to read it and understand what it says. The answer is simple. I have been helping injured people for a long time. I have seen thousands of collision reports. I have talked with hundreds of law enforcement officers about traffic investigations. I have worked with almost every insurance company doing business in the southeastern United States. I have done these things every day over many years. I can look at a collision report and see things. I can see things that other people may not be able to see. Some of those things are helpful to your case and some of those things are not. Based upon what I see, I can determine in a minute or two if your claim has value. I will need medical reports and medical bills to give a specific opinion as to the value of your claim, but I can quickly determine whether your claim is worth pursuing. A claim is worth pursuing if a person was injured because someone else made a mistake, if there was an injury and if there is some source of recovery. Not every claim is going to be worth $1 Million. Some claims are big. Some claims are small. We help people with injury claims whether they are big or small. We have made a commitment to help injured people. That is what we are going to do. If you do the right things for the right reasons over time, you will be successful. That is our philosophy. It has served us well so far. So, if we are unable to recover money for your claim, you do not have to pay us any money at all for our services. If we do recover money, we deduct a percentage of it as a fee, pay medical liens and give you the rest. That places an incentive on us to recover as much as is possible under the law. And remember, injured people recover 3 ½ times more when they are represented by a lawyer according to the 2004 Insurance Research Council Study. If you have been in an accident, call us and ask a few questions before you hire a lawyer or sign a form. I work for a local company. I was hurt at work three days ago. I am getting medical treatment but I am not sure how all of this works. 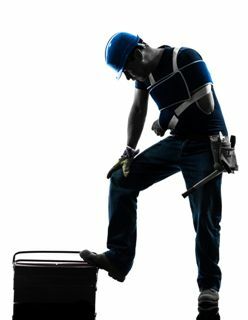 Do I have a workers compensation claim? If you were hurt at work, then you may have a workers compensation claim. You may have a claim even if your mistake caused your injury. Your claim may be valuable. If you are like most people, you just want to get better and get back to work. However, there are rules in workers compensation cases. Some are inflexible and unforgiving. Failure to follow these rules can destroy your claim. It can cost you a lot of money. Your employer (or really his workers compensation insurance company) knows these rules. Should they pay for medical treatment? Should they pay your lost income? How much should they pay? Do you have to go to their doctor? What if the doctor says you are ready to return to work but you know you are not? What if your injuries have permanent consequences? Your employer's workers compensation insurance company knows the answers to these questions. Shouldn't you? Call or chat with us right now. We will answer your questions for free. It is completely confidential, and there is no obligation. I recommend that you get answers, and then decide how to proceed. What services do you provide if I was injured in an auto accident? Free Rental Car Assistance - we can tell you what to do and what not to do. No Fee Unless we recover for you! Call to receive The North Carolina Auto Injury Book FREE (Valued at $16.95) or download it now by clicking on the Free Offer tab (right). You can also chat (top or bottom left) or simply call (910) 341-7570 or (877) 593-4233 to speak with me now. In addition to the sources of information described above you can can call (910) 341-7570 or (877) 593-4233 for a Free phone or face-to-face consultation today. You can read any of the hundreds of Library Articles, Frequently Asked Questions (FAQs), Blog Posts and Client Testimonials and Case Results on this site FREE. How much do I have to pay for the services I receive in an injury case? Call to receive The North Carolina Auto Injury Book FREE (Valued at $16.95) or the Road to Recovery Magazine. You can also chat (drop-down or bottom left) or simply call (910) 341-7570 or (877) 593-4233 to speak with me now. After an auto accident, work place injury or industrial accident, your goal is to get back to where you were before the accident. That includes fair compensation. An insurance adjuster may try to talk with you. There are critical things you should know before you have that conversation. But, she already knows what happened. She has the report. The report has detailed information about the accident. What is she really trying to do? She is looking for information that will help her do her job. Her job is to save the insurance company money by paying you less. Prepare for that conversation by calling us now. The call is FREE and there is no obligation. If you choose to retain us, there is no fee unless we win. You can contact us anytime day or night on this site by chat or email contact. Here is a Checklist of what to do after an accident. Many people make mistakes during the first 72 hours after an injury that prevent them from recovering full and fair compensation for their injuries. On this site you can get FREE information that will help you avoid these costly mistakes. Also, you can call, chat or email for a FREE phone or face-to-face consultation. I was injured in an auto accident. It was clearly the other driver's fault. I am not sure if I should handle the claim myself or retain an attorney. Am I better off with a lawyer or without one? Call us at (910) 341-7570. Ask all the questions you can think of and then decide if you feel like an attorney will help. After you have all of the information, you will be in a better position to decide. The consultation is free. There is no obligation. We approach each case like it is our only case. We look at each case like an individual corporation. Corporations do two things: maximize revenue and minimize expenses. We maximize the revenue by negotiating the highest settlement offer. Then we minimize the expenses by negotiating the lowest possible payments to medical providers and lienholders. That is how we can get the most money for you, the person who was affected most by the accident. We follow this procedure in every injury case. Yes. It is about money, but not because we are greedy or because we want you to have something for nothing. It is about money because you have bills, liens and loss. It will take money to pay the bills, satisfy the liens and compensate for your loss. I am not the kind of Person who likes to Sue People. I just want to be treated fairly. Contrary to what T.V. programs would have you believe none of our clients are trying to recover something for nothing. We do not represent people who say they were injured when they are not. We do not represent people who try to exaggerate claims or defraud insurance companies. We represent good people who were legitimately injured by careless people in real accidents. If my son throws a baseball through our neighbor’s window, what should he do? Should he pull his cap down over his eyes and sneak off to the garage? No. He should knock on the door and say, “I am sorry”. He should pay to fix the window. He should pay for the materials, the labor and the clean up. He should not have to pay to fix a clogged drain, a squeaky door, or a missing shingle, but he should pay for the damage he caused. It is the same with car and other accidents. The law requires the person who caused the wreck to pay for the damage. The law requires drivers to purchase insurance so that if a driver hurts someone by accident while driving, he or she will not be financially devastated by an honest mistake. If it was not a simple honest mistake, the responsible driver may face criminal prosecution for illegal conduct. I cannot repair cracked collar bones, fractured fibulas or torn connective tissue. I cannot make injured people well again. You will need talented medical professionals to do that. Those medical professionals, talented as they may be, do not work for free. Medical treatment costs money. And, what if there are future medical expenses? What if you miss work? What if you have a permanent scar or some type of permanent disability? What if you cannot run again? Or walk? What about the pain that you have experienced following the accident, the treatment and the recovery? The only tool that exists to address these unfortunate yet inescapable consequences is money. It is my job to get enough of it to pay for these damages. 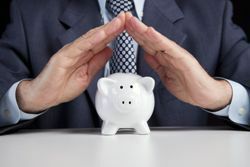 For the insurance company, it is entirely about money. They will pay the smallest amount they can possibly get away with in every case. For them, this is math problem; not a moral dilemma. It is the job of every insurance adjuster to save money for the company by paying out the least amount possible for claims. 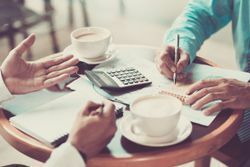 Insurance companies, like other companies, are obligated to their shareholders to maximize revenue and minimize expenses. Premiums payments produce revenue. As an injury claimant, you are an expense. The recorded statement they ask you to provide will reveal their intentions if you know where to look. First, we look at all possible sources of recovery including owner’s policy, driver’s policy, employer’s policy, victim’s policy, worker’s compensation policy, umbrella policy, other policies and individual assets. Then we gather information that is legally and factually relevant to the claim. We present it in a way that is compelling and specifically designed to match with the computer valuation models used by insurance companies to assess claim value. Finally, we add context to tell your story and how you were affected by the accident. Almost every injury claim settlement will involve expenses. Medical providers who advance services may have liens. Health insurers like Blue Cross, Medicaid, Medicare, Tri-Care and others may have liens, as well. 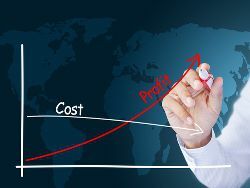 There may be other liens, costs and expenses that arise. We have legal tools and experience to negotiate these lien amounts to help us achieve our goal of fair compensation. The insurance company is going to gather information about these liens. They are legally required to satisfy the lien before they pay any money to you. They will ask you to sign a medical release so they can get this information. Will there be anything left for you after these liens are satisfied? Is it wise to take that chance? 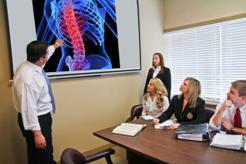 Attorney fees in injury cases are generally structured the same from one law firm to another. The consultation is free. There is no fee unless we recover money. The fee is calculated as a percentage of the recovery. The percentage may be different from firm to firm, and it increases if the case goes to court. This is because of the additional time, energy, expertise and risk associated with court. You do not have to pay the fee in advance. Instead, the fee will be deducted from your settlement proceeds. It makes sense to use an attorney if you will receive more money with an attorney than you would without an attorney. Are you better off with an attorney after an Accident? You are better off with the right attorney. The right attorney can maximize the claim, minimize the expenses and charge a reasonable fee. That will lead to fair compensation. This is true whether your injuries are catastrophic or minor. Call for more information. (910) 341-7570. How can I find the best lawyer for my case? Once you have determined that you should speak with an attorney about a legal issue, another question immediately arises. Who? How can you find the best lawyer for my case? Recently, I friend of mine asked me to recommend an estate planning lawyer in California. I don't know estate planning lawyers in California. I was forced to think about it from your point of view. This is the approach that I suggested for my friend. First, I would do some research on Google. Let's say I would like to speak with an attorney about an injury claim arising from an auto accident. I might search the terms "auto accident", "injury", and "lawyer". That search might give me candidates from New York, Chicago, Atlanta, and Los Angeles. I might then add a geographic limitation. If my claim arose in southeastern North Carolina, I might add "Wilmington NC" rather than the name of the nearest smaller town. Those search criteria should produce a list of candidates. Once I had a list of candidate, I would want to know three things: 1. What do other lawyers say about the lawyer? 2. What do former clients say about the lawyer? 3. How do I feel about the lawyer? 1. What do other lawyers say about the lawyer? How can you find out about a particular lawyer's reputation among those who practice law and know good lawyers from bad lawyers? You could go knock on the doors of twenty lawyers and ask. That would take too long. In addition, the results might not be reliable. Does the lawyer you are asking know the lawyer you are considering? Is the lawyer likely to give you accurate information that benefits you or simply refer you to his friend. Try Avvo.com. Avvo is a national independent service that gathers information about all licensed lawyers. The information gathered includes the lawyer's reputation in the legal community, experience in a particular field of law, and record for ethical conduct. Based upon this information Avvo rates the lawyer on a scale of 1 - 10. I would look for an Avvo rating of 9.0 or higher (10.0 is the maximum possible rating). Our Avvo rating is "10". Our Avvo badge is located on the home page of this site and below in the grey box. In addition and for consecutive years, we have been identified as Superlawyers by Thomson Reuters and selected to the Top 100 Lawyers by the National Trial Lawyers Association. 2. What do former clients say about the lawyer? I would look to see what this lawyer’s clients say about the service they received. Did they feel like he or she was knowledgable? Did they feel like he was responsive? Did they feel like he did a good job for them? Were they happy with the service they received? Did they feel like they were treated fairly and with courtesy and respect? You can find client testimonials describing the experiences that our clients have had with our firm on Google, Avvo, and on this site under the Testimonials tab at the top of the home page. 3. How do I feel about the lawyer? I would always have a consultation with a lawyer before I retained him or her. I would write down questions in advance of the consultation. During the consultation, I would ask questions. I would listen carefully to the answers. It is illegal and unethical for a lawyer to promise results in a case. If your lawyer makes lofty guarantees about the results in your case, he is violating important ethical principles and the law. If he will break those rules, will he break other rules that are in place for your protection? In addition, each case requires investigation, research and careful analysis. How can he guarantee a result unless he has done these things? Great lawyers under promise and over deliver. They make conservative estimates and careful predictions because they know that people depend on what they say. After that meeting I would consider three things. 1. Does he know this specific area of the law? 2. Do I feel like I can trust him? 3. Do I feel like he can help me? At the conclusion of the consultation, I would feel like I had enough information to decide if this lawyer was the best lawyer for my case. To set up your phone or face-to-face consultation, please call (910) 341-7570 or (877) 593-4233. My car was totaled in an auto accident that was not my fault. How much should the other driver’s insurance company pay me for my car? The driver who causes an auto accident is responsible for the harm he causes. In car wreck cases, harm usually comes in the form of property damage and bodily injury. 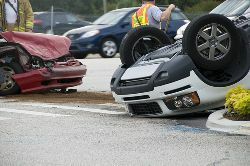 The driver’s auto insurance company has employees who are responsible for “handling” claims for the insurance company. The employees are called insurance adjusters. The responsible driver’s insurance company will assign one insurance adjuster to the property damage claim. A different adjuster will be assigned to any injury claims. The property damage adjuster will determine what amount to give you for the damage to or loss of your vehicle. She will also determine whether you should get a rental car. What is the adjuster's job? What factors complicate the process? The law requires the responsible party to pay for the damage caused by their insured driver regardless of their internal policies. However, some of the laws that relate to property damage and injury claims are tricky. Health insurance, third party payors, liens, and other issues complicated the process. It gets even more complicated when there is more than one insurance company involved. This issue often arises when your vehicle is totaled, when you need a rental car, or when there is more than one driver at fault. You may be able to handle the property damage component of your claim yourself. The insurance company should pay the cost of restoring your car to its pre-accident condition. 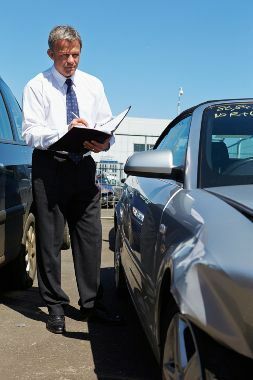 If your car was totaled, you can determine the value through various on-line auto valuation sites. 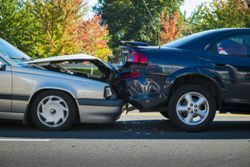 If the damage for your car was greater than 25% of its value, then it must be reported on the vehicle title and you may have an additional claim for deminution in value. Should I take care of the Property Damage myself? Although you can handle the property damage claim yourself, we prefer to take care of it for our auto injury clients. The laws can be confusing. The adjusters have greater knowledge and experience than most people do in dealing with these types of issues. In addition, it is always hard to know if you are being treated fairly unless you deal with these claims frequently. Normally, we do not charge a fee for handling this part of an auto injury case. If you have questions about your property damage or car rental after an auto accident or injury in North Carolina, pick up the phone and give us a call. We work with people from Charlotte to Wilmington, North Carolina. If we cannnot help you, we may be able to refer you to a good lawyer in your area. You can also chat with an operator 24/7 about your case.